We’re boxing in the Bowery, partying in the Vault and diggin’ to China in the next DARK VAULT OF PUBLIC DOMAIN. Join UNCLE PETE as he brings you our favorite gang of All-American JDs in the 1941 East Side Kids feature Bowery Blitzkrieg. Once again we have Danny (Bobby Jordan) and Muggs (Leo Gorcey) as long-time pals up to their usual struggles and hi-jinx in the Bowery. Danny is working hard to make something of himself – studying and boxing and keeping his nose clean – in large part due to the encouragement of his sister Mary (Charlotte Henry – the one and only Bo Peep from The March Of The Wooden Soldiers).Muggs is busy using his fists and wise-cracks to get by and hanging out at Clancy’s (played by Key (no second e here) Luke). Mary’s policeman fiance – having seen his best childhood buddy wind up on death row – takes an interest in Muggs and gets him involved in the city-wide boxing competition representing the local Bowery’s finest. This and a few other things causes friction between Danny and Muggs and Danny starts to keep company with some seedy characters for some quick cash. In the meantime, Danny’s new creepy friends and their boss try to set up Muggs to take a dive in the championship. And don’t forget your swimsuits and towels cuz UNCLE PETE has clone buddies Azul and 42nd Street Jimmy digging a brand new combination giant in-ground jacuzzi/swimming pool/nuclear generator coolant tank for to throw a big ol’ DARK VAULT party. 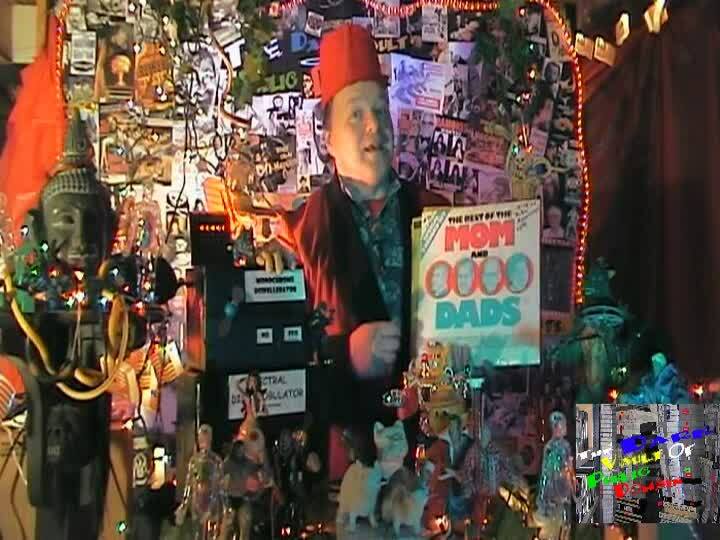 In preparation for the festivities, we find UNCLE PETE in the Nipsey Russell wing of the DARK VAULT RECORD LIBRARY selecting just the right records for the celebration. Unfortunately. The Clones do a little too good a job digging and find that well-known shortcut to China. Along the way, UNCLE PETE and El Vato dig up some other cinematic nuggets for you entertainment and general enrichment. From 1958, it’s The Grapevine – an educational short about the dangers of rumors. Our favorite animated cutie – Betty Boop – is joined by Koko, Bimbo and Louis Armstrong in 1931’s I’ll Be Glad When You’re Dead You Rascal You. 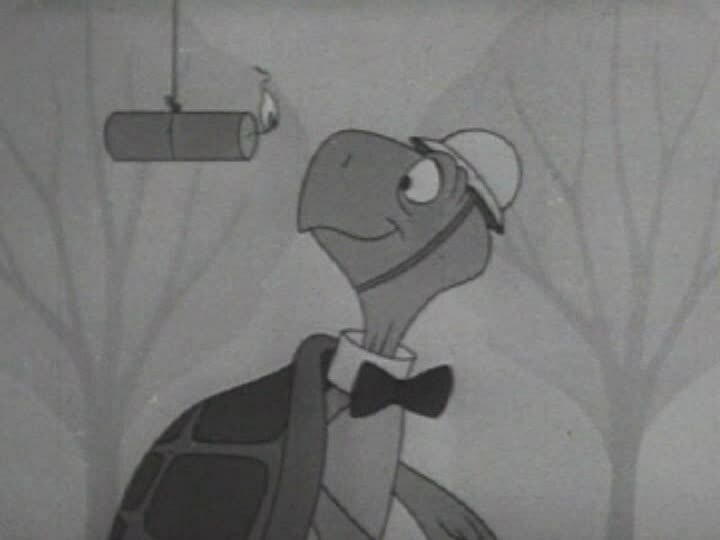 And there’s good old Burt the Turtle in his famous Civil Defense flic – Duck and Cover (perhaps still as informative today as it was when first shown). So tune in to channel 4 this Saturday, April 21, 2012 at 10PM. 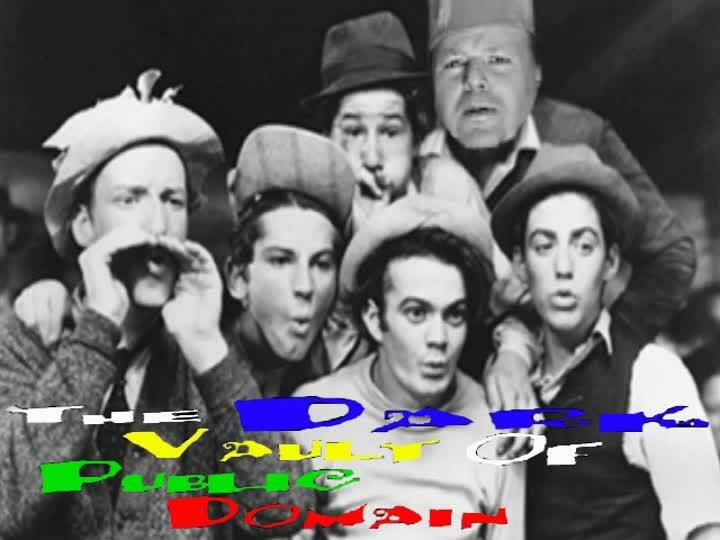 It’s a ton of trailers, a selection of shorts, and a fight filled feature with 1941’s Bowery Blitzkrieg with your host UNCLE PETE on the next DARK VAULT OF PUBLIC DOMAIN! ~ by UNCLE PETE on April 20, 2012.